Hi I'm Daniel... I build awesome polished concrete tables! It's more than likely that you've been attracted to my profile by an image so thanks! I'm glad you like my work. I've recently had a table featured on Grand Designs too and you can check it out here. 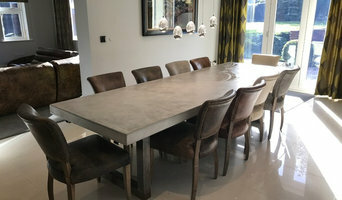 <a rel="nofollow" target="_blank" href="https://www.granddesigns.tv/haringey/">https://www.granddesigns.tv/haringey/</a> I use micro-cement to create a polished concrete surface, hand finished personally, each table is totally unique to you. The finish is highly durable, stain and water resistant, eco-friendly, breathable to take on room temperature and ages superbly. I only provide a bespoke service and do not sell to shops or online stores. Please check out my existing projects here and feel free to send me questions and ideas for your projects. Please call or email for more info. Regards Daniel. 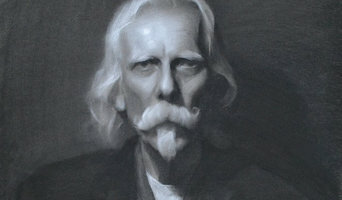 Max is an up and coming artist, classically trained in representational art, and having already exhibited throughout the UK. Max sells existing artwork, limited edition prints, and accepts art commissions for portraits or landscapes. Commissions Customers choose to commission portraits or landscapes for a variety of reasons. Portraits might be commissioned to celebrate the birth of a baby, a special birthday or anniversary, an engagement, or simply as a unique gift for someone special. Portraits are usually completed over 4-10 sittings (averaging 30 plus hours work) using oil paint or charcoal and chalk depending on preference. Max is happy to also work from photographs though would prefer to take these himself, if possible, to achieve the best results. Landscapes are often commissioned to capture a favourite view, places that have special meanings or memories of shared experiences, or for wall space that needs specific visual impact. Landscapes are usually completed plein air (on location) using oil paints on canvas. Pricing for Commissions Pricing is very individual and is tailored to your budget. As a general and rough guide a half-length portrait (concentrating on head and shoulders) like ‘Barry’ (60 x 45 cm) would be £750. Three-quarter or full length portraits cost more due to the complexity. A landscape like ‘Olive Tree’ or ‘St. Anthony of Padau’ (both 35 x 25 cm) would be £240. Framing, postage and packaging, or travel expenses are not included. My name is Mark Fletcher and I am a mural artist designing and producing quality hand painted wall murals for schools, homes and businesses. Designers of remarkable, furniture, interiors and fittings. Hi and thanks for looking at my profile. We make stunning bespoke concrete furniture using the latest technologies in micro-cement, resins and dyes. They are bespoke, original and hand made by myself. All polished concrete tables are artisan, unique in style and character, no two surfaces are the same. Please do not hesitate to contact me with any inquires. The House Of Ugly Fish is an art company that specialises in creating handmade fused glass art for both domestic and commercial environments. 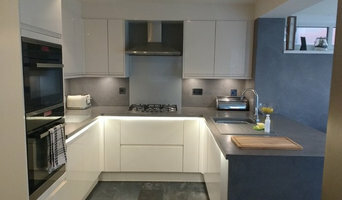 From beautiful kitchen splashbacks, fused glass windows and grand wall panels to accessories such as bowls, lighting fixtures and even mugs, there are almost no limits as to what can be made. You can find a fantastic selection of fused glass pieces from our extensive portfolio of work below, showcasing some of our most vibrant and unique art. A full gallery can be found on our website. My practice covers a range of various media and styles, such as oil/acrylic painting, collage, sculpture/installation, digital image or scannography, with the present focus on oil painting. In my abstract expressive paintings I develop a matter of sub consciousness being the main link between my practice and the issues of the contemporary world. My works have been exhibited internationally, including North Carolina Museum of Art in Raleigh, Dykeman Young Gallery in New York, Parallax Art Fair in London and 2014 Liverpool Biennial. Designer / maker of crafts and jewellery, specialising in contemporary generative and geometric designs. Our beautifully crafted pure soy wax candles are hand poured in England, United Kingdom. We use only the finest ingredients, all locally sourced. We use pure essential oils and exquisite fragrances in our range of massage candles, pre-blended massage oils, room diffusers, room sprays and melts. Our wicks are designed and manufactured specifically for us by a company whose trading goes back over 100 years and it is by dealing with respected companies that our collaborations with local sources ensures our products are hand made to the highest standards. Mural Artist hand painting children's and modern wall murals for clients across the UK. 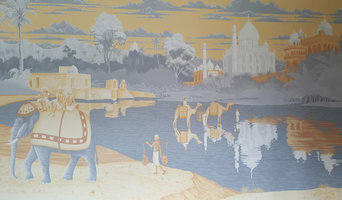 www.joannaperrymurals.co.uk. Over 90 Years Experience in Hand-painting Premium Quality Reproduction Oil Paintings of Old Masterpieces. WE ARE SO MUCH MORE THAN YOUR TYPICAL DESIGN STUDIO, WE ARE A TEAM OF ETHICAL FOOD AND DRINK CREATIVES, LED BY AWARD WINNING FOOD BUSINESS MARKETING AND DEVELOPMENT GURU, JOHN VAREY. ALL OF WHICH HAVE COME TOGETHER TO GET YOUR BUSINESS / PROJECT TO THE NEXT LEVEL. BEHIND THE SCENE CREATIVE SUPPORT GUARANTEED TO RAISE THE BAR. Commission a fine art painting. "Painting from nature is not copying the object, it is realising ones sensations" Paul Cezanne. Why commission a painting? Everyone has a favourite place by the seaside or in a landscape that is meaningful for them and that you would like to see at home or at the office. It is your personal meaning that forms the narrative off your commission during the painting process. From the moment that you commission a Seascape or Landscape with me, I invite you to become engaged in creativity. It is your painting and a work of art that is personal to you, its title, subject, colour, and form. At the end of the process you also get the sketches and notes that record the creative journey. How does commissioning work? Once you select the general subject matter and size I will call you and arrange a meeting at my studio or at your home to discuss the details of the piece and decide how we can develop it together. I will then make some small drawings watercolour models and if all is agreeable we agree the commission. The painting typically takes from 6 to 12 weeks to complete depending on size. 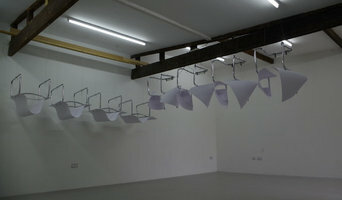 For which types of work would I need Manchester artists or craftsmen? From the small to the large, the intricate to the bold, there’s a skilled artisan or craftsman that can create and supply you with beautiful artistic features to fit with your designs. If you’re after a standard, framed painting, then you can find all sorts of artists who create landscape, still life, modern, portrait or even pop art. Or you can find artists in Manchester that will create more unusual wall designs and murals, paint furniture or even floors and ceilings for you. Even the essential items, like plates, bowls, tiles, splashbacks, lampshades and headboards, can be handcrafted, painted or designed by potters and artists to give your everyday life that extra decorative flourish. If you’re struggling to find the right crockery to fit in your kitchen or the perfect vase to use as a centrepiece on your dining room table, then you could turn to a potter. Potters can handcraft bowls, plates, vases and all sorts of other ceramic items for your home and finish them in a style that suits you – painted, patterned, glazed or white-washed. Take a look at their current style and decide whether a Manchester potter could produce items for your home that you’ll fall in love with. It’s always fun to try your hand at a bit of arts and crafts, but there are definitely some crafts that are best left to the professional potters, craftsmen and artists. Glass, sculpture and ceramic artists will be experienced workers who have honed their craft for many years, so if you are looking for a stained glass door panel, a garden sculpture or a set of beautifully-crafted vases, then it’s time to turn to a professional Manchester craftsman, artist or potter. Why not think outside the box, too, and consider a metalwork wine rack or a metal, one-of-a-kind wall clock? Even very specialist craftsmen such as blacksmiths can be found on Houzz, so no matter how outside-the-box you think, your designs could come to life. Here are some related professionals and vendors to complement the work of artists & artisans: Interior Designers, Specialist Contractors, Lighting, Carpenters & Joiners. Find artists, potters and craftsmen on Houzz Peruse portfolios in the Professionals section to find Manchester artists to add beauty to your home. Narrow down your search to find Manchester stained glass artisans, potters, mural artists and more.